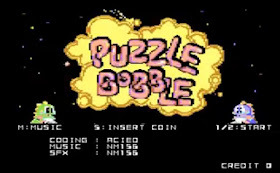 Indie Retro News: Bub and Bob return home to the C64 - Puzzle Bobble announced! Bub and Bob return home to the C64 - Puzzle Bobble announced! Earlier tonight Neil tantalized you with in development screenshots of a C64 port of Bitmap Brothers' seminal Amiga blaster: The Chaos Engine. Well it turns out this was just a warm up for what could be the news of the year as far as I'm concerned. Time to forget the modern consoles' turgid E3 2018 and their endless reboots / remasters / sequels... and turn your attention to the latest announcement for the 36 year old Commodore 64. 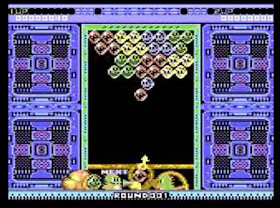 We could also be seeing a port of Puzzle Bobble! It's only 22 or 23 years late (The Arcade original from Taito released in 1994). 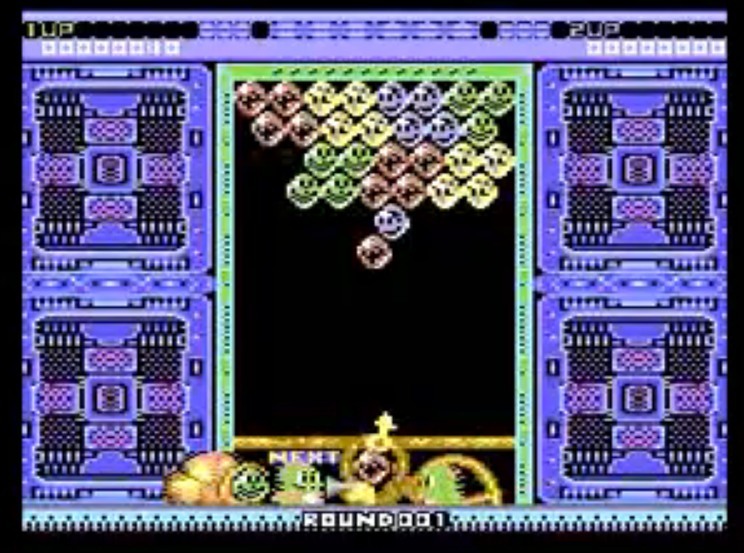 Gameplay footage, leaked by the developers on Lemon64 (from ACIED and NM1564 ) show 1 and 2 player modes, a title screen, and overall a fairly faithful looking port of the original. Bub and Bob look great on C64 as we all know (Bubble Bobble's best 8bit port was C64 after all). So what do we know so far? Not much... This is a fan made homebrew project, and one I would say is at risk of being slapped with a c&d from Taito (let's hope not). Lovingly made fan remakes of very old arcade games on even older 8bit microcomputers, whilst legally contravene a ton of copyright laws are often overlooked by large software corporations because they understand the platform developed for is regarded as obsolete, no money is being made... it increases their own brand profile, and see it as a bit of fun. (SEGA for example encourage homebrew use of Sonic). At the very worst, they might get asked to change the name, and main player sprites. Since the early preview leaked we know for certain that they'll also be support for the under-valued C64 paddle controllers, and HEND of Protovision is adding his graphics skills to the project. This is my new #1 game I can't wait to play (and stream) for C64!